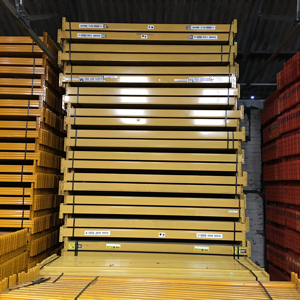 Essex Archives - Shelving & Racking Ltd.
We currently have huge stocks of quality used Link 51 warehouse racking in a range of sizes and duties. The upright frames are 14 metres high and so can be cut to any required height and braced to standard depths of 900mm and 1100mm or other sizes upon request. These pallet racking frames are medium, heavy and super heavy duty and so are suitable for all warehouse storage environments. We have thousands of beams in stock at 2250mm, 2300mm, 2680mm, 2700mm and 3100mm clear entry. All beams are supplied with beam locks as standard and frames are dispatched assembled and with footplates attached. To complete your industrial racking system, we have used pallet support bars, new wire mesh decking, column guards and barriers. 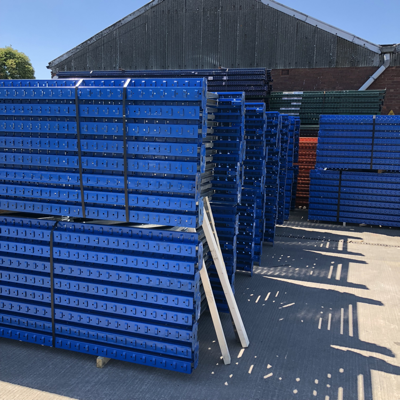 Deliveries are leaving our warehouses every day, so wherever you are in the UK we can supply you with the used pallet racking you need at a great price. We have orders going to Liverpool, Coventry, Essex, Hull and Glasgow in the next week, so if you are near these areas get in touch now and we will do our best to fit you in. Call us on 0800 612 3210 or use the enquiry form to send us you details and we will reply quickly, whether you need Link 51 warehouse racking or pallet racking from another manufacturer (Dexion, Apex, Redirack, PSS etc.). Wagon loads of warehouse racking deliveries leave us every day for dispatch across the UK. Whether you need a couple of bays of tyre racking for your garage, some long span shelving for an order picking area or runs of heavy duty used pallet racking we can deliver quality materials at a great price and with short lead times. In the next couple of weeks we have part loads currently scheduled and so we would be happy to try to accommodate your order and get it to you quickly. We have Dexion racking going to Nottingham, Link 51 pallet racking going to Essex, some longspan shelving to complete a job in Stockport and some Apex industrial racking heading to York. We are also installing pallet racking in London, Bolton, Leeds and Peterborough. So wherever you are in the UK, call us now on 0800 612 3210 with a list of your requirement or send them on an enquiry form. We will confirm availability and send you a low priced quote with the best possible lead time. How do I know what Dexion racking I need? 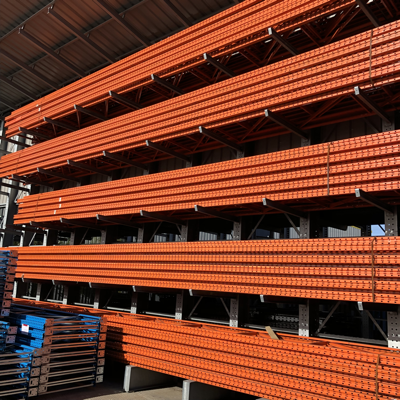 Dexion racking, or pallet racking to use the proper term, can be a complicated business if you aren’t familiar with the specific terms and the way it works, but we can help you to find the right storage solution for your business. People will often ask for Dexion racking when actually they want racking from a completely different (and non-compatible) manufacturer. 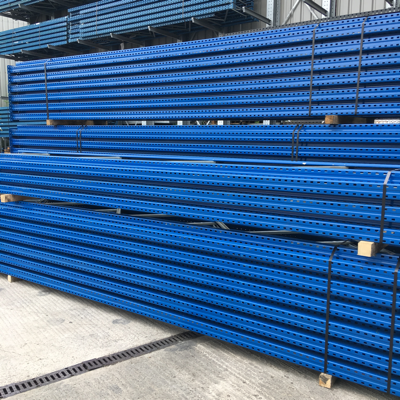 If you send us a photo of the racking you have, we can identify the racking system and then give you a quote for compatible materials. Apex, Link 51, Redirack and PSS are all popular industrial racking makers that we always have in stock and we can usually source less common systems such as Hilo, Esmena and Mecalux. The size of the frames and beams that you need will depend on the dimensions of the space you have available and size of the pallets that you are storing. 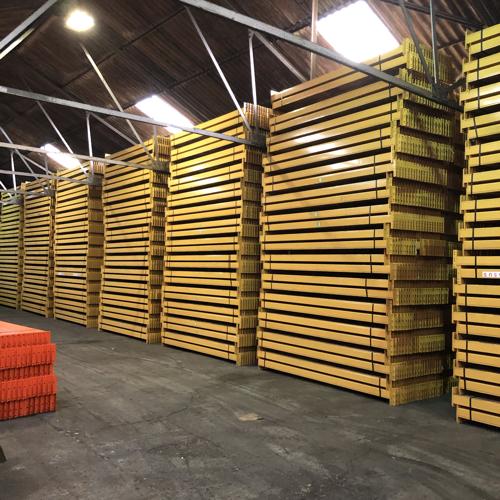 UK pallets are 1200mm x 1000mm and Euro pallets are 1200mm x 800mm, but if you are storing non-standard pallets or non-palletised items we can adjust standard pallet racking sizes to accommodate your stock. Our helpful and knowledgeable team are happy to spend as much time as you need to get the right warehouse racking for your business. We can deliver to any UK mainland address (we have orders going to Essex, Gateshead, Hereford and Motherwell in the next week) and we also have fully qualified installation engineers. Call us now on 0800 612 3210 or send us a brief message on our enquiry form and we will get back to you quickly. We have warehouse racking installations booked across the UK in the next few weeks. Our SEIRS qualified teams are experienced, knowledgeable and will offer advice to help you make the most of your warehouse storage. We have a large installation of Dexion racking going up in York, several runs of longspan hand loaded shelving in Wolverhampton, a few bays of Apex industrial racking at a small company in Essex and a full warehouse of Link 51 used pallet racking, complete with timber decking, in Liverpool. We will always try to tag on any additional jobs that we can fit in while we are at a particular location, so get in touch now if you are close to these areas and in need of a quality used industrial racking installation. Call us on 0800 612 3210 or send us a message on our enquiry form.